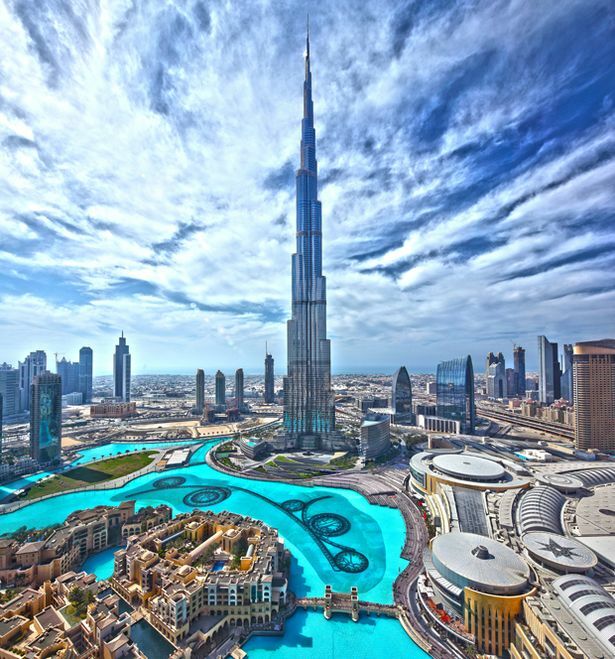 One of the increasingly popular tourist destinations is the United Arab Emirates. The country lies on the blue waters of the Arabian Gulf. With its blooming gardens, VIP luxury hotels and the abundance of tourist attractions it constitutes a dream-place for the most demanding tourist. The UAE was established on December 1971 as a federation of seven emirates: Fujairah, Sharjah, Ajman, Umm-Al-Quwain, Ras-Al-Khaimah, Dubai and Abu-Dhabi , with last one being a capital city. The current ruler of Abu Dhabi customarily holds the presidency of the country. Since November 2004 the post is held by Khalifa bin Zayed Al Nahyan. The biggest and the most fast-developing emirate is Dubai, that’s why it’s no surprise that tourists prefer this emirate over the others. Vacation in the UAE is the excellent opportunity to get unforgettable memories and emotions that will stay with you for the rest of life. So out of that many attractions, what are the top three most worth visiting places in Dubai? First of all – you can’t miss the chance to visit Burj Al Arab, a luxorious 7-star hotel. It is one of the biggest and most expensive hotels in the world to stay – the price may range from 1000 to 5000 dollars a day. The hotel has its own heliport for comfortable delivery of guests and clients. Burj Al Arab is a symbol of Dubai. Inside the hotel you will constantly see groups of tourists walking with cameras and expressing their excitement from what they see. Upon entering the hotel, you will be rested in a ladder fountain with two escalators at the sides. Fountain periodically starts playing short spitting streams of water. Check-in process is very simple -you give your passport and wait for a few minutes while sitting on the couch, eating dates and drinking coffee. Another beautiful place in Dubai is Burj Khalifa. Once you see this skyscraper with your own eyes, you may not believe this is possible! We advise you to go to the observation deck in the evening, the view is 100 times better! To get cheaper tickets one should reserve them via internet, indicating specific time and date. Awesome beauty and its unique structure, one of the tallest buildings in the world certainly worthy of a visit. 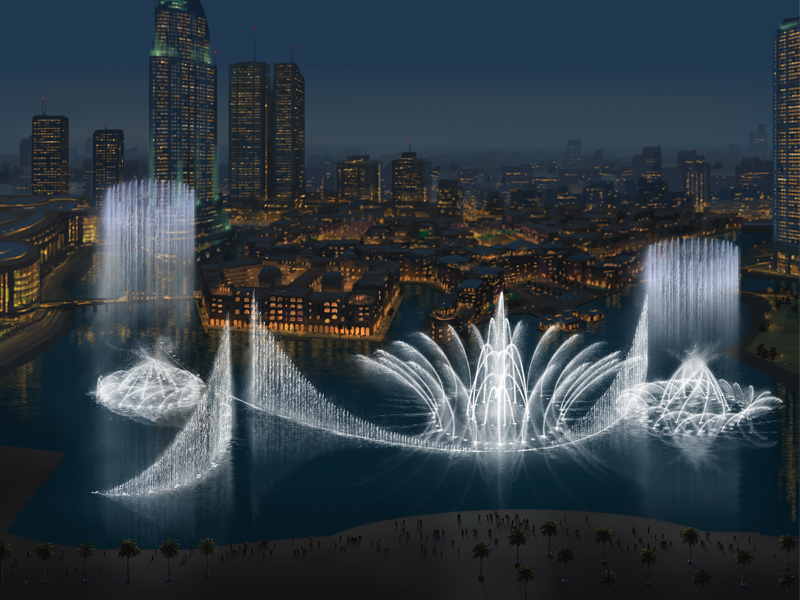 Last but not least is Dubai Fountain. 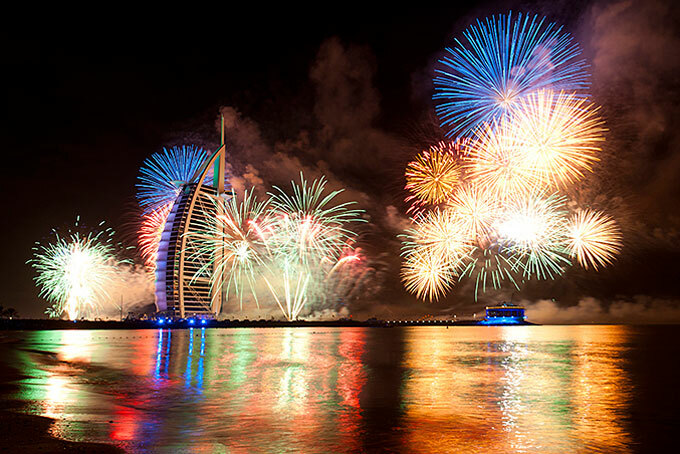 The show takes place every evening at the foot of Burj Khalifa. 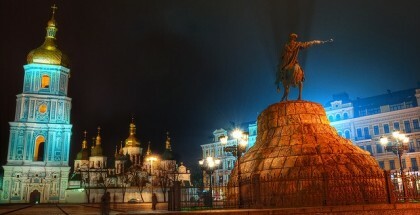 Each time the fountain is accompanied with different kind of music. It is spectacular, magical and free! However, to have a better view one should arrive early. Fabulous music with the spectacular sight will make your evening unforgettable!